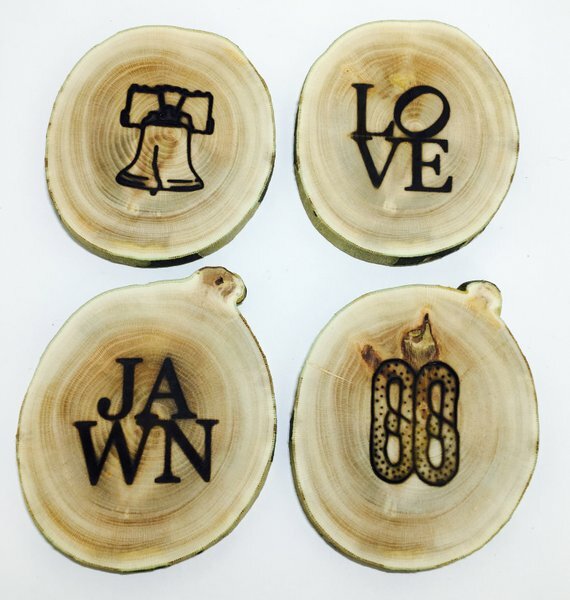 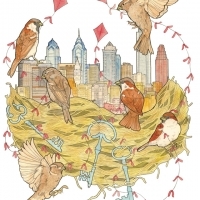 This wooden coaster set is made from locally foraged Sycamore or London Plane trees, wood burned with four different custom Philadelphia inspired designs, sanded, then wrapped up with lots of Philly love, just for you! Each coaster measures about 1/4″ thick and is approximately 4″ across, and the set of four is cut from the same stretch of wood, so when they are stacked, it looks just like a part of the tree. 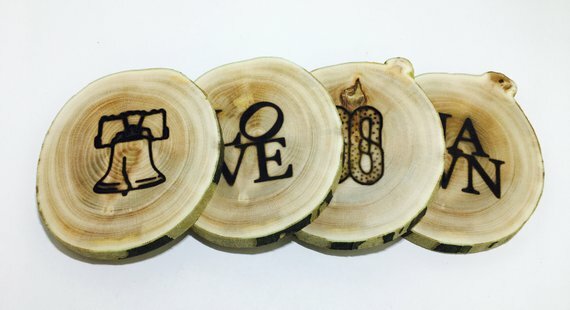 We start with the raw piece of locally foraged wood and put a lot of time and effort into creating pieces that are awesome around your home!